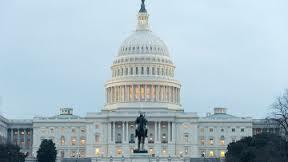 Washington, April 13 The US has released the names of 18 Russians to be slapped with visa and financial sanctions under its controversial Magnitsky Act, which punishes individuals Washington deems complicit in human rights abuses. No senior federal Russian officials were included in the list published Friday on the website of the US Treasury Department. Several of the officials named are those that have been implicated in the West and by Russian rights activists in the 2009 death of Russian whistleblowing tax lawyer Sergei Magnitsky, after whom the US law is named. The list made public contained no officials seen as part of Russian President Vladimir Putin's inner circle. Moscow has repeatedly chided the US for pushing through the Magnitsky legislation and warned that publishing the list of sanctioned officials would harm US-Russia ties. The sanctioned officials include investigators and officials in the Russian interior ministry and Investigative Committee, as well as Russian tax and prison officials, that Magnitsky's supporters accuse of orchestrating a $230 million tax fraud. Officials included on the list released Friday include interior ministry investigators Pavel Karpov and Artyom Kuznetsov, tax official Olga Stepanova, and Yelena Stashina, the judge who Magntisky's backers accuse of illegally prolonging Magnitsky's detention in Moscow's Butyrskaya pretrial detention facility. Magnitsky died in the facility in disputed circumstances in November 2009. The so-called Magnitsky List of Russian officials released by the Treasury Department is considerably shorter than the 60 officials that Magnitsky Act author Benjamin Cardin, a US Senator from Maryland, has accused of involvement in the tax lawyer's death. It is also far shorter than the list of 280 Russian officials submitted to the White House recently by US Rep. James McGovern, another co-author of the legislation, to be considered for inclusion on the blacklist. McGovern called on the White House to include Russian Prosecutor General Yury Chaika, Investigative Committee chief Alexander Bastrykin and Chechen President Ramzan Kadyrov, among other senior officials. McGovern said in a statement Friday that the release of the blacklist represents "as an important first step toward holding egregious human rights violators accountable" despite the inclusion of fewer Russian officials than he had wished. "While the list is timid and features more significant omissions than names, I was assured by administration officials today that the investigation is ongoing, and further additions will be made to the list as new evidence comes to light," McGovern said. The fact that a name is not on the list does not mean that person is innocent, he added. It was not immediately clear whether sanctions were placed on other Russian officials as well. The Magnitsky Act, signed into law by US President Barack Obama in December, allows the White House to classify the names of officials punished under the law in the interest of national security. White House National Security Council spokeswoman Caitlin Hayden referred questions on a possible classified blacklist to Treasury and the US State Department, which Obama has formally tasked with implementing key aspects of the law. A Treasury Department spokesman referred questions on the classified list to the State Department, where officials could not immediately be reached by RIA Novosti for comment. Citing unnamed US officials, The New York Times reported on its website that a smaller group of Russian officials had been placed on a separate Magnitsky Act sanctions list that had been classified. The Magnitsky Act was signed into law by Obama Dec 14, 2012 and is ostensibly designed to punish officials believed to be connected to Magnitsky's death. The scope of the legislation was later broadened to cover a whole range of suspected rights abusers. A Congressional source told RIA Novosti that the law's backers in Congress would consider a classified list of sanctioned Russian officials as good as no list at all. A key component of the Magnitsky Act is the "name-and-shame" impact it would have on the targeted Russian officials, which would be undermined should the Obama administration choose to create a classified list, the source said on condition of anonymity.